How taking photos affects the enjoyment of everyday experiences. It turns out that photography has an unsuspected psychological benefit. Taking photos can enhance the enjoyment of everyday activities, a new study finds. Far from being distracted in the moment, people who take photos seem to get more out of their experience — in most circumstances. 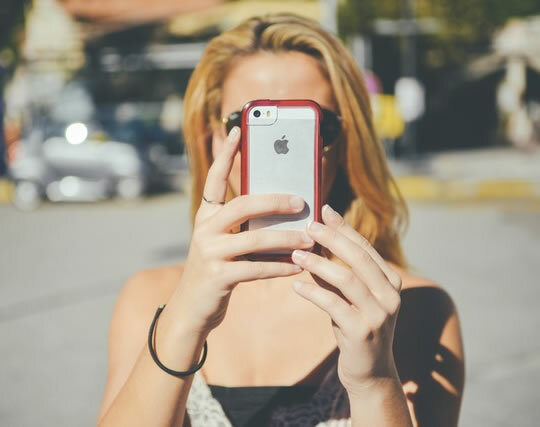 “To the best of our knowledge, this research is the first extensive investigation examining how taking photos affects people’s enjoyment of their experiences. The researchers conducted nine experiments including over 2,000 people for their paper. Some were in the lab, while others were out ‘in the field’. In one, for example, people were taken on a bus tour. Half were advised to take photos and the other half not. Those that took photos generally found the experience more enjoyable. “…capturing experiences with photos actually focuses attention onto the experience, particularly on aspects of the experience worth capturing. “…happiness is boosted by being grateful for what you have. Even just taking ‘mental pictures’ during the experience was enough to help people enjoy it more. However, the researchers did find that when people were already engaged an experience, taking photos didn’t help. Also, handling large photographic equipment seemed to stop people enjoy the experience. Given how many photos are taken every day, it seems people are enjoying themselves a lot more. “…the New York Times estimates that in 2010, people took 0.3 trillion photos worldwide, and this number will reach 1.3 trillion by 2017. In addition, the number of photos being uploaded on different social media sites every day can provide a lower-bound estimate of the number of photos taken. The study was published in the Journal of Personality and Social Psychology (Diehl et al., 2016).